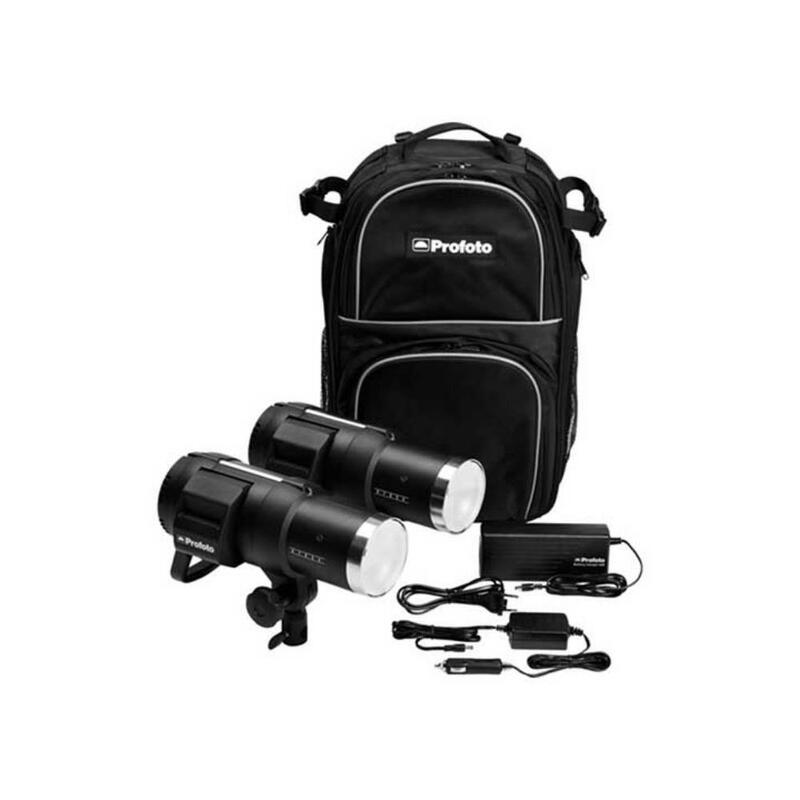 The Profoto B1 500 AirTTL Location Kit contains 2 powerful off-camera flashes that are powered off of Lithium Ion batteries that last approximately 220 full-powered flashes. The sleek batteries allow for cord-free shooting on location with the bulk of an external battery pack. These flashes provide a combined 1000W/s and you can fire off 20 flashes per second in Quick Burst Mode, which is ideal for lighting and capturing action. There is also a special Freeze Mode that delivers flash durations as fast 1/19,000 of a second for capturing liquid sprays, bullets firing, and other super high speed effects. The shape of the flashes, with their built-in protective reflectors, accommodate Profoto speedrings (rentable separately) which attach to a variety of rod-based light modifiers (not included). The Profoto B1 500W/s AirTTL Location Kit is a great option for photographers who can't be tied down to outlets and is ideal for sports, portraits, high-speed effects, and product photography lighting.